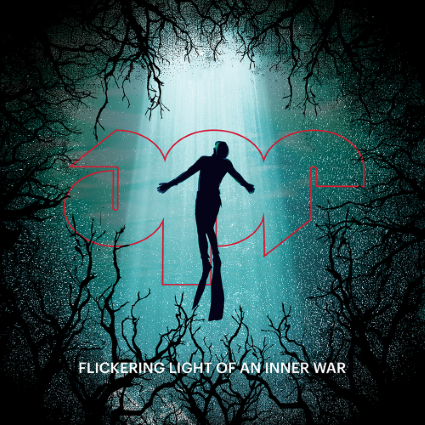 In what seems like a successful attempt to connect with their fans, Belfast’s A Plastic Rose made their second album, Flickering Light Of An Inner War available via Spotify on December 15 last year, with it’s official release set for March 1. Also in the interest of their fans, the quartet have set up a Pledge Music campaign, allowing people to pre-order the album on physical vinyl alongside treats like posters, signed set-lists and even Skype guitar lessons. With so many unique ways to gain access to this record, it’s surely one that the band are proud of – and so they should be. The album spans an epic 14 tracks, but there are certainly no loose ends. Each and every offering is solid and distinctive, and with the band offering a self-proclaimed “try before you buy” method of release it’s honestly an alternative rock fan’s dream come true. ‘Pumping Blood‘ and ‘Autumn Eases You In To The Dark…‘ open things up, setting the bar high for the record but fortunately what follows on throughout the album exceeds all expectations. With a sound that at times resembles You Me At Six, and at others, Biffy Clyro, Flickering Light Of An Inner War presents listeners with an incredible experience that yes, draws influences from some other artists as many newer bands choose to do in order to target certain audiences, but this album also has a very individual feel to it that helps A Plastic Rose stick out from the crowd of alternative bands that all sound the same and have to fight for attention. ‘Boxes‘ is a perfect example of showing off the band’s lyric writing ability, with words that may potentially hit home for some listeners. With such incredible vocals too, there’s no way that the lyrics at hand won’t sink right in. While one of the later tracks, ‘White Boy Bleeding Heart‘ is a chance to take note of the band’s excellent instrumental abilities. The opening guitar riff will rock right through you, and both the bassline and drumming is strong throughout. On the title of this phenomenal record, A Plastic Rose said, “[it] refers to what this album means to us and what we have all been through in order to make it happen”. With that in mind, knowing how hard this album has been worked on to see it through to its release, you have to hand it to these guys for creating such thoughtful material and releasing it in a way that benefits their fans most, rather than the band themselves.